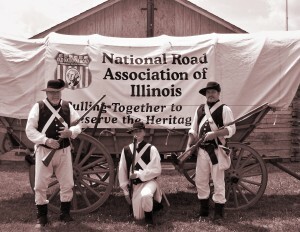 National Road Interpretive Center | Come explore the history of the "Road That Built America"
The Historic National Road Interpretive Center is located one block East of the Historic Statehouse in Downtown Vandalia, Illinois behind City Hall. Come explore the history of the "Road that Built America". 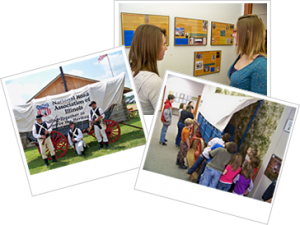 Did you know that the Interpretive Center in Vandalia is the only one of its kind in the United States? 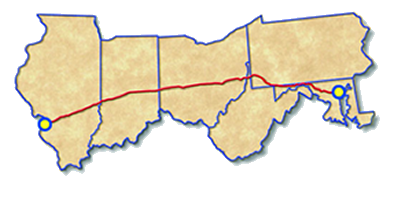 Take a few minutes to stop by and learn about the National Road. The center is full of information, displays and artifacts from the National Road. Our team is here to provide information, answer questions and let you browse through the various pieces of information on display. 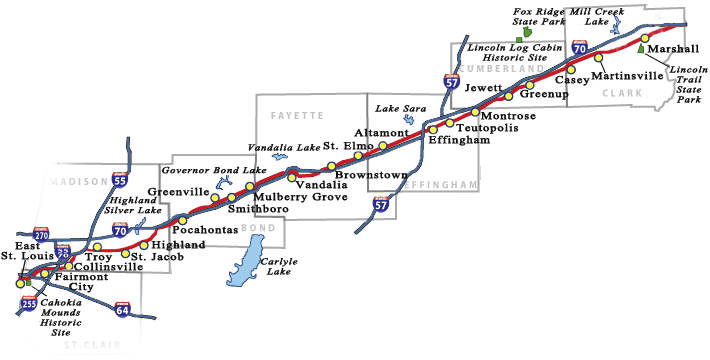 Make it a point to stop by and say hello the next time you are traveling through Vandalia, Illinois. Let us take a few minutes and show you how the National Road truly was the "Road that Built America".